Interesting things happen over at Small Pond Science: a discussion about assigning literature in a science class, posts about what the products of excellent college teaching should be able to do, and yesterday, how to teach science to students who find their faith in conflict with it. much of the country is religious, and it’s in all of our interests for this majority to use reason to understand and accept facts that have been established through science. It’s the job of the science educator to convince the faithful that science requires reason and knowledge. "Insulting the faithful for their faith," though, can take a lot of forms, including conflating all faith with Christianity, or with particularly fundamentalist forms of Christianity, or with forms of religious belief that set themselves at odds with science. McGlynn defines faith as "the choice to believe that something is true without evidence," but many of the faithful worship the thing-they-believe-exists. They don't worship the principle of believing something is true without evidence. Taking into account the diversity of faith is a problem that exists alongside the conundrum of convincing people that evolution is real when they've deliberately shut down their intellectual receptors for perceiving its reality. 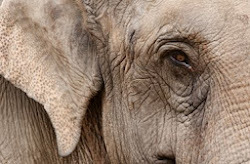 The "Messages from Creationists" on Buzzfeed reveal a deplorable scientific illliteracy (starting with what a "theory" is), and they also reveal a stunted understanding of the faith of people who aren't creationists. For the creationists, a deity to whom the beauty of sunsets can be attributed is necessarily a deity who reveals himself through the Christian Bible, who insists on a literal interpretation of said Bible, who intervenes in human life but apparently had no hand in advancing human knowledge after the last words of the New Testament were penned, and whose revelation in the sacred writings of non-Judeo-Christian faiths is completely irrelevant. It is the brief of the science educator to eradicate the scientific illiteracy. It may not be the brief of every humanities educator to eradicate religious blind spots, but any history or literature in which people of faith play a role becomes much easier to teach once students grasp that "God" and "religion" are more capacious categories than they may have learned from their previous experience of religious practice. 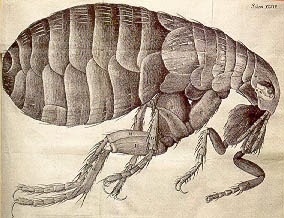 The strength and beauty of this small creature, had it no other relation at all to man, would deserve a description...the Microscope manifests it to be all over adorn'd with a curiously polish'd suit of sable Armour, neatly jointed, and beset with multitudes of sharp pinns, shap'd almost like Porcupine's Quills, or bright conical Steel-bodkins. an evident Argument, that HE who was the Author of all these things was no other than Omnipotent; being able to include as great a variety of parts and contrivances in the yet smallest Discernible Point, as in those vaster bodies (which comparatively are also called Points) such as the earth, sun, or planets. 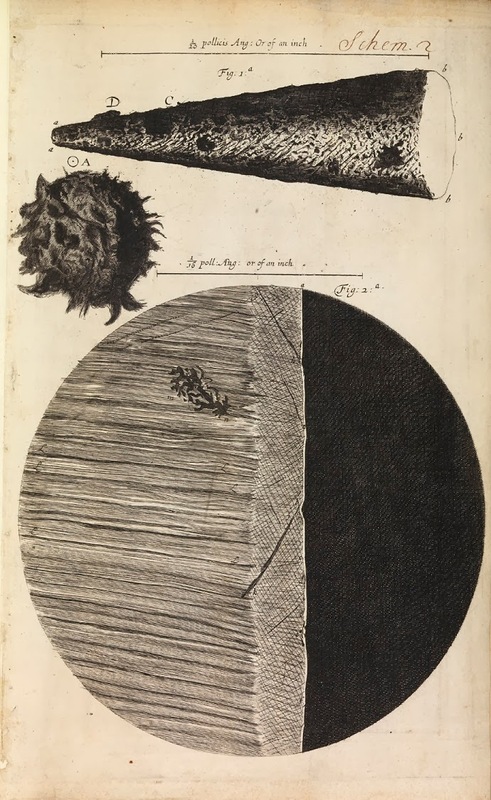 And of course, Isaac Newton, looking in the opposite direction through his telescope, drew similar inferences. The science here will no more draw secular students closer to faith than pointing out the flaws in Hooke's reasoning will dissuade the faithful. The passage does, however, illustrate that an argument for God's omnipotence is not an argument for Christianity and that the history of science has at many points intersected with a desire for understanding informed by faith. Students whose faith makes them intransigent about any potential challenge to that faith are, in my experience, far fewer than students wrestling to reconcile the stabilities and certainties of their upbringing with the challenges they encounter in college--not just from their science instruction but from an expanded historical understanding, exposure to people with different beliefs and backgrounds, their own growing sense of autonomy. If we as college teachers are doing our jobs right, college students will learn not only what it means to base things on evidence, but how to live a life that meaningfully takes into account evidence-based reality. Beautifully put, as was what you posted to the other McGlynn on his website! If Not Restoration, a Glorious Revolution?